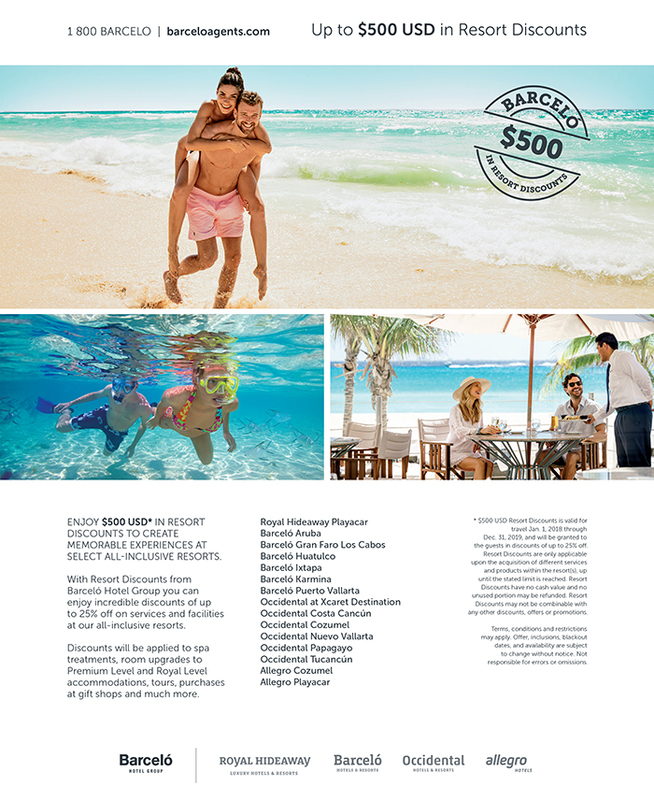 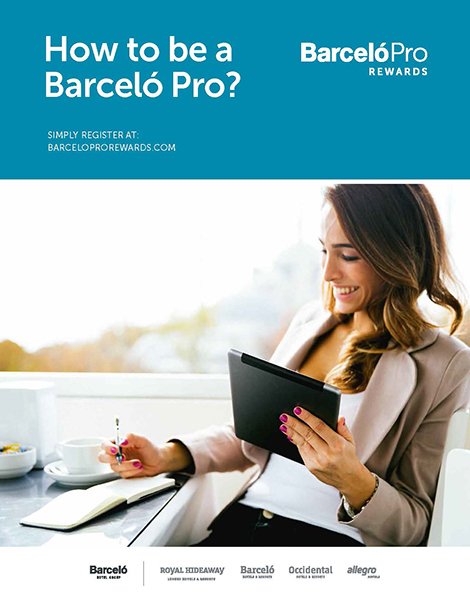 Barcelo Hotels Group offers Travel Agents 20% off best available rate! 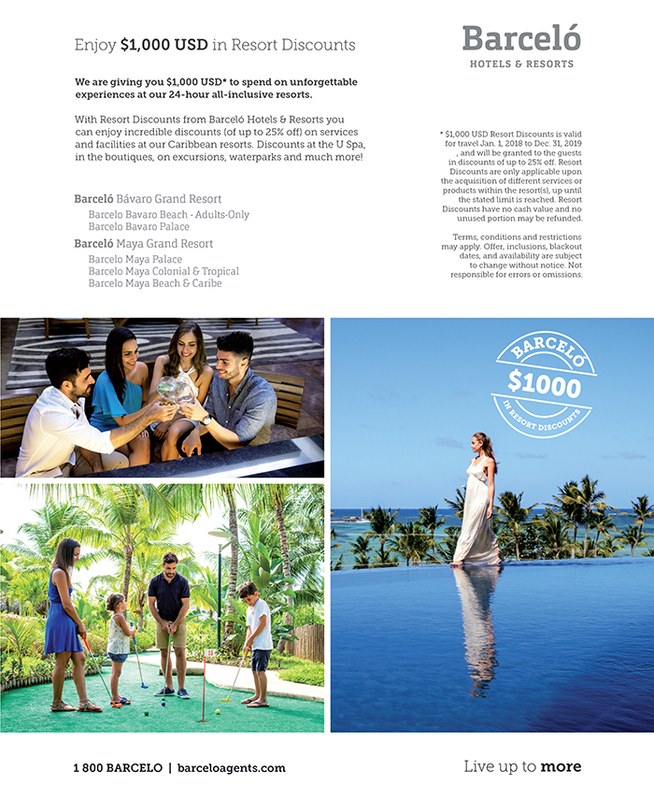 To check space/make a booking please call 1-800-BARCELO make sure you ask for the Agent Rate! 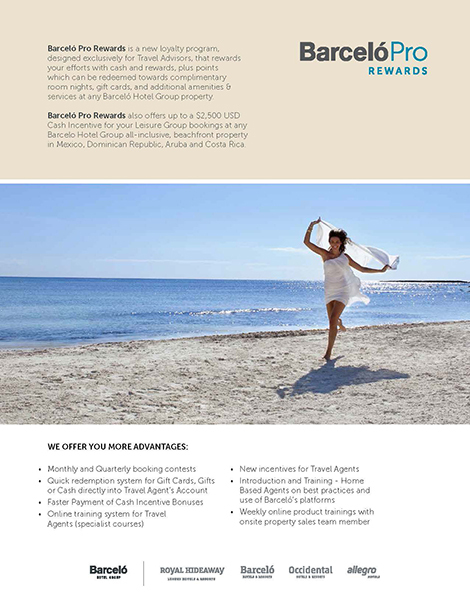 Must have valid Travel Agent ID IATA, CLIA, TRUE card.